Generation (MSG), providing images of the full Earth disc, and data for weather forecasts. In geostationary orbit 36,000 km above the equator, the Meteosat satellites — Meteosat-7, -8, -9 and -10 — operate over Europe and Africa. Meteosat-10 (launched from the Guiana Space Centre in Kourou in 2012) is the prime operational geostationary satellite, positioned at 0 degrees and providing full disc imagery every 15 minutes. Meteosat-9 (launched on 2005) provides the Rapid Scanning Service, delivering more frequent images every five minutes over parts of Europe, Africa and adjacent seas. Meteosat-8 (launched in 2002) serves as a back up to both spacecraft. Meteosat-7 (launched in 1997) is the last of the first generation of Meteosat satellites and operates over the Indian Ocean, filling a data gap over the region until it is de-orbited in 2017. The MTG system is being established through cooperation between EUMETSAT and the European Space Agency (ESA). ESA has already contributed to the initial research and development of the new satellites. 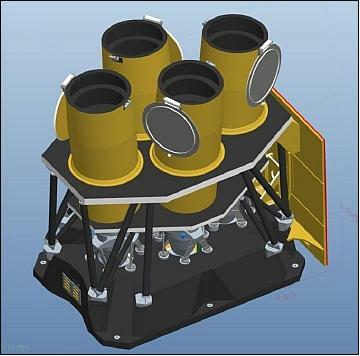 The first MTG-I and MTG-S prototypes are being developed by ESA as part of its MTG programme. The EUMETSAT MTG programme includes the procurement of the four recurrent satellites — three MTG-Is and one additional MTG-S — as well as six launches; the development of the ground segment, and the operations of all satellites. Breaking with tradition, the Meteosat Third Generation (MTG) is based on three axes stabilised platforms rather than the spin stabilised platforms of the first and second generation satellites. The advantage of having three axes stabilised platforms is that the instruments will be pointed at the Earth for 100% of their in orbit time, a prerequisite for the operation of sounding instruments. The satellite series comprise four imaging and two sounding satellites. 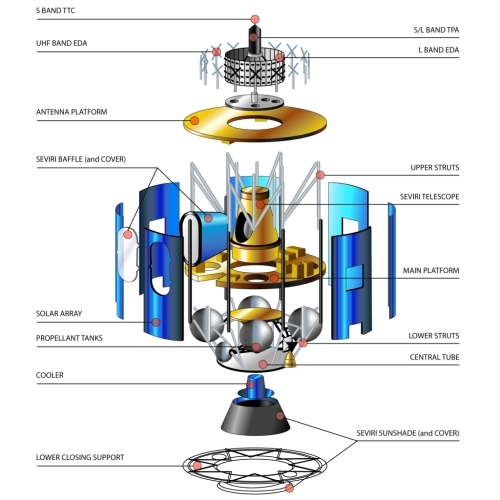 The imaging satellites, MTG-I, will fly the Flexible Combined Imager (FCI) and the Lightning Imager (LI), an imaging lightning detection instrument. 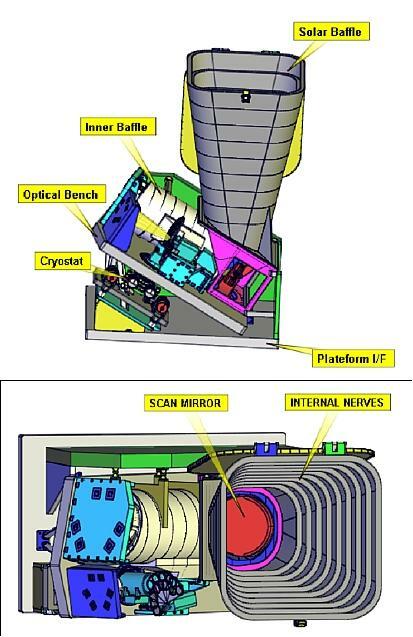 The sounding satellites, MTG-S, include an interferometer, the Infra-red Sounder (IRS), with hyper-spectral resolution in the thermal spectral domain, and the Sentinel-4 instrument, the high resolution Ultraviolet Visible Near-infrared (UVN) spectrometer. The prime objective of the EUMETSAT Polar System (EPS) Metop mission series is to provide continuous, long-term datasets, in support of operational meteorological and environmental forecasting and global climate monitoring. The EPS programme consists of a series of three polar orbiting Metop satellites, to be flown successively for more than 14 years, from 2006, together with the relevant ground facilities. The launch of Metop has brought about a new era in the way the Earth's weather, climate and environment are observed and will significantly improve operational meteorology, in particular Numerical Weather Prediction (NWP). NWP is the basis of all modern global and regional weather forecasting. The data generated by the instruments carried by Metop can be assimilated directly into NWP models to compute forecasts ranging from a few hours up to 10 days ahead. Measurements from infrared and microwave radiometers and sounders on board Metop provide NWP models with crucial information on the global atmospheric temperature and humidity structure, with a high vertical and horizontal resolution. EPS also ensures continuity in the long-term monitoring of factors known to play an important role in climate change, for example changing patterns in the distribution of global cloud, snow and ice cover, and ocean surface temperatures and winds. In particular, the Infrared Atmospheric Sounding Interferometer (IASI) instrument has the ability to detect and accurately measure the levels and circulation patterns of gases that are known to influence the climate, such as carbon dioxide. This heralds a breakthrough in the global monitoring of the climate. The data collected by IASI feeds into the models, for the first time showing the variable global distribution of carbon dioxide as a function of seasons and circulation anomalies such as the Southern Oscillation (also known as El Niño) and the North Atlantic Oscillation (NAO). 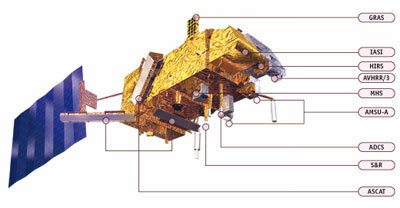 The Metop satellites carry a payload of eight instruments for observing the planet, together with a range of communications and support services. A core set of instruments for atmospheric sounding and Earth imaging is identical to those flown on the NOAA satellites. The NOAA-N Prime satellite renamed NOAA-19, built for NASA by Lockheed Martin, will improve weather forecasting and monitor environmental events around the world. NOAA-N Prime is the fifth and last in the current series of five polar-orbiting satellites with improved imaging and sounding capabilities. NOAA-N Prime carries a suite of instruments that provides data for weather and climate predictions. Like its predecessors, NOAA-N Prime provides global images of clouds and surface features and vertical profiles of atmospheric temperature and humidity for use in numerical weather and ocean forecast models, as well as data on ozone distribution in the upper part of the atmosphere, and near-Earth space environments—information important for the marine, aviation, power generation, agriculture, and other communities. 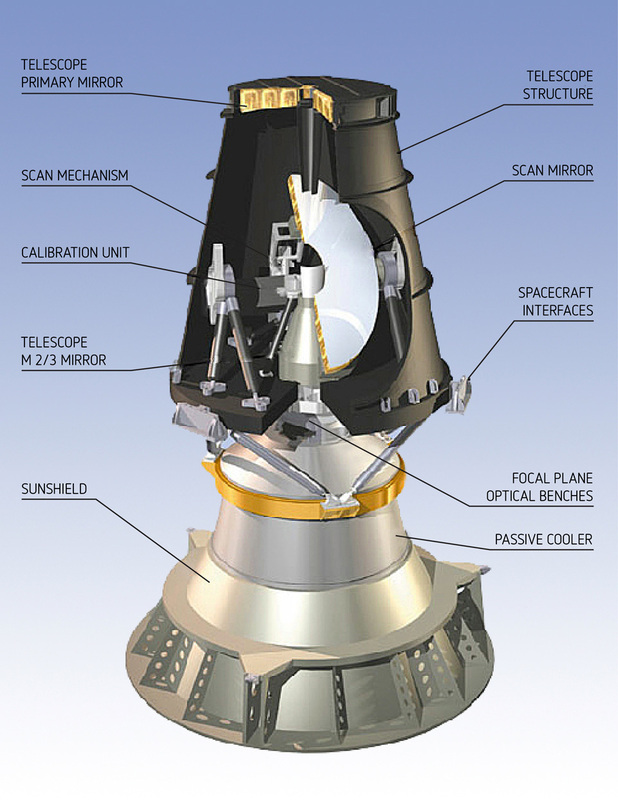 The NOAA-N Prime primary instruments —theAdvanced Very High Resolution Radiometer (AVHRR/3), High Resolution Infrared Radiation Sounder (HIRS/4), and the Advanced Microwave Sounding Unit (AMSU-A)—were all designed for a three-year mission. 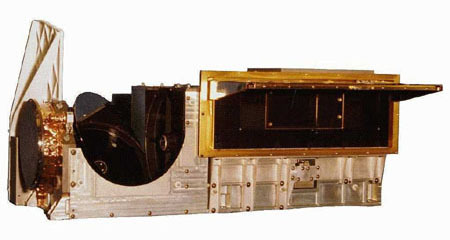 The Solar Backscatter Ultraviolet Spectral Radiometer (SBUV/2) was designed for a two-year mission, and the Microwave Humidity Sounder (MHS) was designed for a five-year mission. The two main instruments on board MSG satellites are the SEVIRI and GERB radiometers. SEVIRI (Spinning Enhanced Visible & Infrared Imager) is able to supply, at intervals of 15 minutes (compared to 30 with the first generation), images of the hemisphere observed by the satellite in 12 different visible and infrared wavelengths (a fourfold increase). This enrichment of the spectrum of observations was a major advance, making for improvement of numerical climate modelling. By delivering data at twice the previous frequency, MSG satellites make it easier for climatologists and meteorologists to detect the start of sudden weather phenomena, such as snow, thunderstorms and fog. With the improvement of image resolution in the visible spectrum, to 1 km from 2.5 km previously, observation and monitoring of local phenomena have been improved as well. The GERB (Geostationary Earth Radiation Budget) radiometer supplies crucial data on the Earth's radiation budget - the balance between the incoming radiation from the sun and the radiation returned to space. The radiation budget, about which much has yet to be learnt, plays a key role in climate change. The Flexible Combined Imager (FCI) on the MTG-I satellite will continue the very successful operation of the Spinning Enhanced Visible and Infrared Imager (SEVIRI) on Meteosat Second Generation (MSG). The satellite’s three axes stabilised platform will be capable of providing additional channels with better spatial, temporal and radiometric resolution, compared to the current MSG satellites. Requirements for the FCI have been formulated by regional and global Numerical Weather Prediction (NWP) and Nowcasting communities. These requirements are reflected in the design which allows for Full Disk Scan (FDS), with a basic repeat cycle of 10 minutes, and a European Regional-Rapid-Scan (RRS) which covers of one-quarter of the full disk with a repeat cycle of 2.5 minutes. The FCI takes measurement in 16 channels of which eight are placed in the solar spectral domain between 0.4 µm to 2.1 µm, delivering data with a 1 km spatial resolution. The additional eight channels are in the thermal spectral domain between 3.8 µm to 13.3 µm, delivering data with a 2 km spatial resolution. In the RRS mode there will be two additional channels in the solar domain, with a spatial resolution of 0.5 km, and two in the thermal domain, with a spatial resolution of 1 km. * The channels VIS 0.6, NIR 2.2, IR 3.8 and IR 10.5 are delivered in both FDS and RRS sampling configurations, the latter is indicated by * in the table. With the FCI on-board the MTG-I satellites, Europe will continue to play the leading role in imaging radiometry from the geostationary orbit in the decades to come. The Lightning Imager (LI) will offer improvements for Nowcasting by delivering information on total lightning (Inter Cloud – IC and Cloud to Ground - CG). The instrument will bring full hemispheric near real-time total lightning detection capabilities. The benefit of the LI mission is that it will continuously and simultaneously observe total lightning over the hemisphere, providing the information to the users with an extremely high timeliness. One method of assessing the impact of climate change on thunderstorm activity is to globally monitor and long-term analyse the lightning characteristics, which would require a long-term stable and spatially homogeneous lightning observing system. Lightning is a major source of harmful nitrogen oxides (NOx) in the atmosphere. NOx plays a key role in the ozone conversion process and acid rain generation. A detailed knowledge of the global distribution of the total lightning (CG + IC) is a prerequisite for studying and monitoring the physical and chemical processes in the atmosphere regarding NOx. Lightning observations from the geostationary orbit, delivered with spatially homogenous and well-characterised quality, are specifically suited to support these climate and atmospheric chemistry applications. The LI on MTG will compliment the two NOAA GLMs (Geostationary Lightning Mapper) on the GOES-R and the GOES-S satellites, thus contributing, in the long term, to near global coverage. Retrieving highly resolved vertical structures of humidity (~2 km resolution with 10% accuracy) and temperature (~1 km with 0.5° - 1.5° accuracy) by remote sensing techniques does require measurements within the water vapour and CO2 absorption bands with extremely high spectral resolution and accuracy. The IRS is based on an imaging Fourier-interferometer with a hyperspectral resolution of 0.625 cm-1 wave-number, taking measurements in two bands, the Long-Wave InfraRed (LWIR) and the Mid-Wave InfraRed (MWIR), with a spatial resolution of 4 km. The IRS will deliver over the Full Disk in the LWIR (700 – 1210 cm-1 or 14.3 – 8.3 µm) 800 spectral channels and in the MWIR (1600 – 2175 cm-1 or 6.25 – 4.6 µm) 920 channels with a basic repeat cycle of 60 min. The IRS includes the ozone band within LWIR and the carbon monoxide band within MWIR. This will allow measurement within the free troposphere, leading to information on enhanced levels of pollution in the boundary layer below. By providing operational measurements of carbon monoxide and ozone, IRS will also make a significant contribution to the space segment of the Global Monitoring for Environment and Security (GMES) initiative. 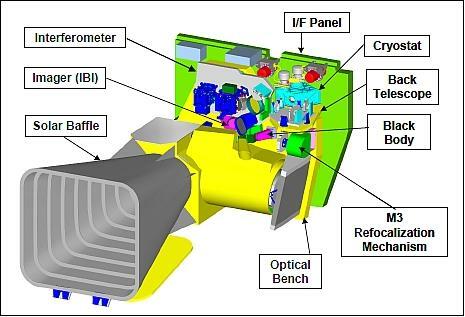 The Ultraviolet, Visible and Near-Infrared Sounding (UVN) instrument is a Global Monitoring for Environment and Security (GMES) Sentinel 4 instrument designed for geostationary chemistry applications. It will fly on board the MTG-S satellites. Funding for the UVN is provided by the European Commission in cooperation with European Space Agency (ESA). The UVN is a spectrometer taking measurements in the ultraviolet (UV: 305 – 400 nm), the visible (VIS: 400 – 500 nm) and the near infrared (NIR: 755 – 775 nm) with a spatial resolution of better than 10 km. Its observations are restricted to Earth area coverage, from 30 to 65º N in latitude and 30º W to 45º E in longitude. The observation repeat cycle period will be shorter than or equal to one hour. ESA is responsible for the definition of the Sentinel 4 mission and provision of the UVN Instrument, whereas EUMETSAT takes responsibility for the operational processing, delivery and management of the instrument data. Information on the status of our geostationary and polar satelllites and the data.